Everyone always looks forward to summertime coming around. We love long nights out in the garden, watching the sunset and gazing up at the stars – until the mosquitoes arrive! These pesky creatures can put a real damper on outdoor occasions and send you running indoors before the party should be over. Thankfully, there are plenty of tried and tested ways to keep mosquitoes at bay so your festivities can rule the night. We’ve compiled a few of the best ideas to help you beat the bugs without using any harmful chemicals. Get right to the root of the cause by throwing out any stagnant water that will be an attractive breeding ground for mozzies. Be thorough – don’t overlook still water sitting in old tyres or water bottles in your yard. If you have a swimming pool, ensure that it is kept clean and chlorinated with a working filter. It’s summer, so we know it’s tempting to strip down to the bare minimum. While shorts and singlets are nice and cooling, they do little to deter mosquitoes from piercing your skin and leaving a nasty itch. If you plan on staying out late, loose clothes with white or lighter fabrics will give you a fighting chance against those persistent bloodsuckers. Mozzies are attracted to darker fabrics, and of course will find it much easier to reach your skin through lycra over baggy cotton. Mozzies can be pretty persistent, but even with their determination to get a good feed, they don’t have the best wings around. 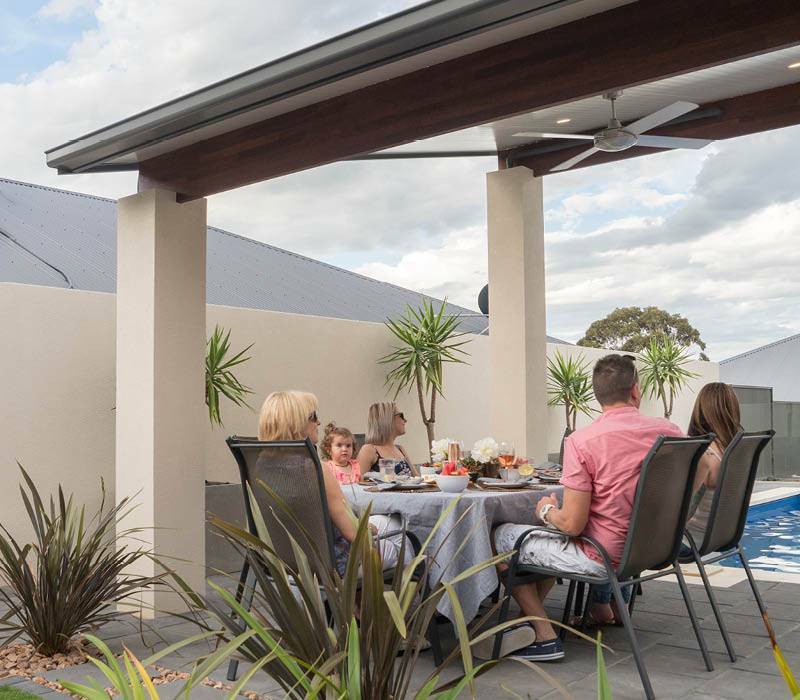 As weak fliers, an overhead ceiling fan on your verandah or pergola is a fantastic way for you to keep cool and keep comfortablel, and for the mozzies to keep out. Keep Your Outdoor Entertaining Area Free of Mozzies. PLANTS! They’re not just beautiful and lovely to smell, they’re also functional. 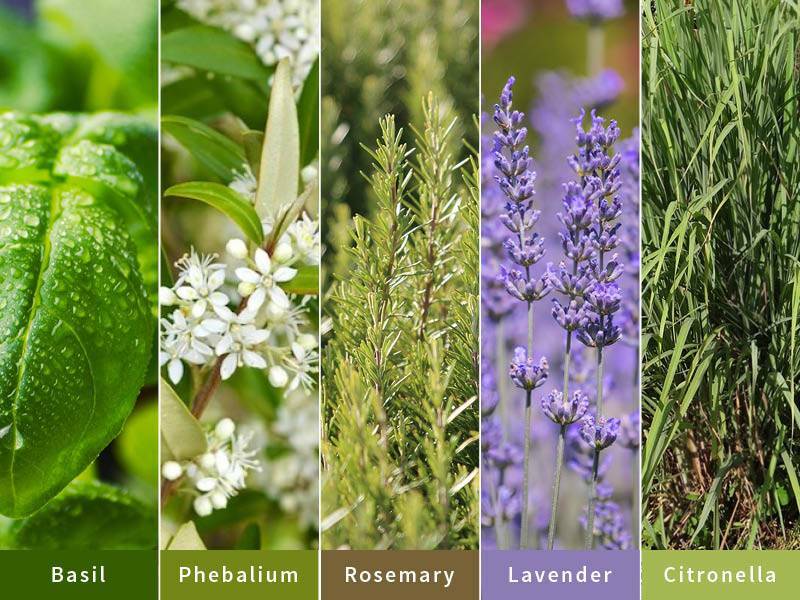 Herbal and aromatic plants are some of the best ways you can convince those bugs to bugger off! You can have them in pots around your verandah or pergola, or plant them into the ground near your entertainment space. Basil – Its pungent but woody scent fends off mosquitoes and flies. Basil loves the sun and requires good drainage but should be kept damp. Phebalium – A small aromatic flower, Phebalium range from cream to bright yellow with flowers resembling a star. Rosemary – It’s great on grilled meat, but it’s equally effective in repelling mozzies. Plus it thrives in hot, dry climes so it suits Aussie gardens to a tee. Lavender – Who wouldn’t want this fragrant shrub in their backyard? Its flowers look glorious in bloom, it offers a luscious scent, it’s hardy and drought-resistant, and its essential oils keep the mozzies clear. Mosquitoes are guided by their strong sense of smell, which makes it all the more important you get one up on them by controlling the aromas around your home. Firstly, avoid using heavily perfumed soaps on your skin and shampoo in your hair. Just like humans, mosquitoes have a sweet tooth and are attracted to tasty smells. Don’t coat your skin in a deliciously-wafting scent that’s only going to invite a bite! As we’ve said, citronella grass offers one of the most popular mozzie-repelling scents around, which makes them attractive to use in natural sprays, candles, and coils. You can purchase a huge range of citronella coils or candles in supermarkets around Australia. But we love these DIY citronella candles brought to you by Garden Therapy. You can also find a huge range of homemade bug sprays on the web. Wellness Mama is a great place to find DIY bug sprays using natural, anti-allergenic ingredients. 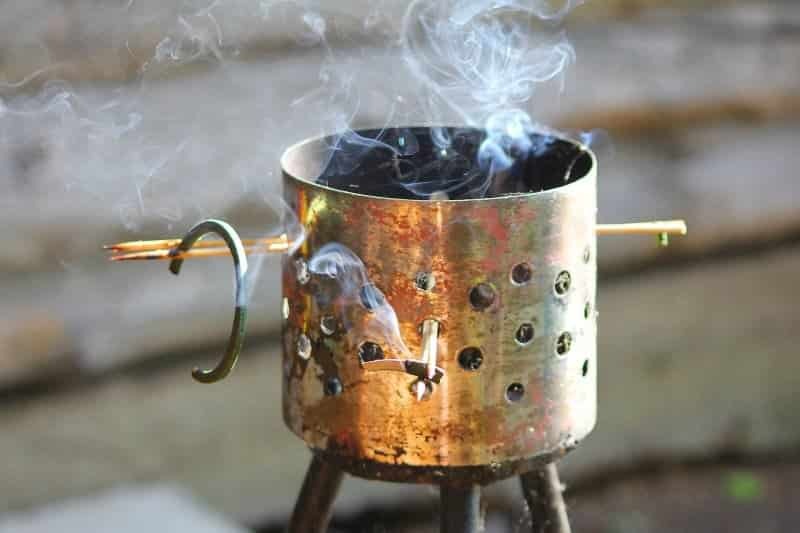 Finally, a smoky fire or incense is a great way to set the scene for a backyard do, as well as serving the dual purpose of stopping unwelcome critters from gate-crashing your affair. Burn sage or rosemary over a barbecue – or your DIY fire pit – to fend off all bugs. Incense Will Help Get Rid of the Mozzies. Heating up in your backyard? Are you looking for ways to keep cool in your backyard this summer? Want to make a more inviting outdoor living space (to your guests – not uninvited mosquitoes!). The mozzies can be nothing but pests, but bees are treasures if you want a backyard to be proud of. Find out how to join the backyard bee-keeping trend. Looking for some cool outdoor activities this summer? Host your own moonlight cinema or a backyard camping trip. If you’re thinking of expanding your outdoor entertainment space, whether it’s with a verandah, pergola, deck or swimming pool, contact us today for a no-obligation, free measure and quote.